Demorest Davenport, “Dav” to all who knew him, died at home on January 5, 2004. He is remembered as an imaginative scholar with an exceptional breadth of interests and knowledge who had the ability to convey his enthusiasm to his colleagues, students, and the general public. He is survived by his wife, Freddy (nee Winifred Bailey) and his daughters Mary Stuart Davenport Benarroch and Evelyn Curtis Davenport Simmonds. Dav was born on September 26, 1911, in Utica, New York. He attended St. George’s School in Newport, Rhode Island and then Harvard University, graduating in 1933. After completing a master’s degree at Colorado College, he returned to Harvard and received his Ph.D. in biology in 1937. His first academic position was at Reed College in Portland, Oregon. While in Portland he met and married Freddy who was a ballerina with the Portland Ballet. In 1942 war interrupted his academic career and he was commissioned as a second lieutenant assigned by the Office of the Air Surgeon to teach and do research in aviation physiology, advancing to the rank of Captain. He continued his interest in this area of research and twenty years later spoke on the subject of “Space Biology and Life Support in manned Space Missions” in a symposium sponsored by NASA at a meeting of the American Physiological Society. 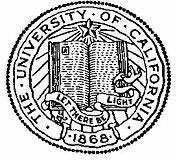 After the war he heard of a new campus of the University of California at Santa Barbara which was to replace the State College in that city. He joined the Department of Biological Sciences at UC Santa Barbara in 1946, served as Chairman from 1962 to 1965 and remained at UCSB until his retirement in 1974. When UCSB moved to its present seaside site in 1955, Dav championed the drive to develop a Marine facility. “Imagine”, he said, “running sea water in the labs on campus”. His dream, of course, has been realized with a great expansion of the facilities for research on marine organisms and the establishment of the Marine Science Institute at UCSB. Dav was also a frequent visiting professor or guest at many of the most distinguished marine laboratories where he lectured and conducted research. This research was supported by two Guggenheim fellowships. Dav’s research efforts took a number of major turns. His earliest publications were in Entomology, culminating in a major publication, “Butterflies of the Satyrid genus Coenonympha”. While at Reed College and at Hopkins Marine Station, Pacific Grove, California, he investigated the comparative pharmacology of heart control in mollusks and arthropods, making significant contributions to the early literature on the subject. At Santa Barbara, he conducted early research on bioluminescence in marine invertebrates. With J.A.C. Nicol of the Plymouth Laboratory (UK) he did the first studies of electrical excitation of luminescence in sea pens and went on the study electrical excitation of the musculature of sea anemones. With his colleagues at Santa Barbara, he described a luminescent millipede discovered on a class field trip to the Sequoia National Forest. Later he published on its culture and biology. Behavior ultimately became his major research interest in Biology. Initially, he and his students studied the physiology of commensalism and symbiosis in a number of invertebrates. Then, in the early 1960s, he collaborated in the adaptation of the flying spot microscope and video recording to the study of the behavior of motile microorganisms. This new instrument allowed the study of the effects of various environmental factors, especially light, on the activity and orientation of motile stages of minute parasites and dinoflagellates. The methodology was applied by several of his students to a variety of problems in orientation of water bourn organisms. His research accomplishments were recognized by his appointment as Faculty Research Lecturer in 1960. Dav’s interest in graduates students was expressed in the many evenings he and Freddy opened their house for discussion, delightedly facilitated by her wit and superb refreshments. Topics covered included everything from current science to local environmental issues. Frequently a distinguished visitor was in attendance. Local secondary schools, civic organizations, and UCSB faculty and students all benefited from Dav’s ability to convey his enthusiasm and knowledge to an audience. His lectures were on an amazing range of topics, e.g., “The Caves of Lascaux’, “Space Biology and Life Support in Manned Space Missions”, and “Learning and Associated Phenomena in Invertebrates”. He was an invited speaker at many national and International meetings and organized several symposia, e.g., “Learning and Associated Phenomena in Invertebrates” and “Photoresponse of Flagellates”. After his retirement from UCSB, he served the Santa Barbara Museum of Natural History well as a Trustee from 1975 to 1988. With his long interest in Natural Science, he often gave the other trustees, many of whom were lawyers and medical doctors, a little lesson in natural history at the beginning of their meetings. While a trustee he collaborated with the anthropologists at the museum on a project which combined two of his many interests, Native Americans and fishing and resulted in a publication, “The Chumash and the Swordfish’. He loved the outdoors and was an expert fly-fisher and hunter. His extensive reprint collection was donated to the Santa Barbara Museum of Natural History to encourage workers at that institution to pursue studies he loved. His books were given to the UCSB Museum of Systematics and Ecology. He used many of these books in developing a most unusual and imaginative interdisciplinary course at UCSB, “Animals in Art”. Dav’s legacy was beautifully described by one of his graduate students, Newton Copp, who wrote, “I think I came to Santa Barbara with a healthy dose of curiosity about nature, but Dav gave it form and meaning and a certain critical eye without sacrificing any of the sense of wonder. It was such a great gift that he offered without even knowing it – it was just who he was – that I have tried to remain aware of it in my teaching and research ever since, hoping that some fraction of it makes its way to my students”.